The Australian and New Zealand Standard Industrial Classification (ANZSIC) has been developed for use in both countries for the production and analysis of industry statistics. It replaces the Australian Standard Industrial Classification (ASIC) and the New Zealand Standard Industrial Classification (NZSIC) which have been in use for many years. The Australian and New Zealand Standard Industrial Classification (ANZSIC) has been jointly developed by the Australian Bureau of Statistics (ABS) and Statistics New Zealand (Statistics NZ). An individual business entity is assigned to an industry based on its predominant activity. The term business entity is used in its widest sense to include any organization undertaking productive activities, including companies, non-profit organizations, government departments and enterprises. How to Read an ANZSIC Code? The ANZSIC is a hierarchical classification with four levels, namely Divisions (the broadest level), Subdivisions, Groups and Classes (the finest level). At the Divisional level, the main purpose is to provide a limited number of categories which provide a broad overall picture of the economy and are suitable for the publication of summary tables in official statistics. The Subdivision, Group and Class levels provide increasingly detailed dissections of these categories for the compilation of more specific and detailed statistics. 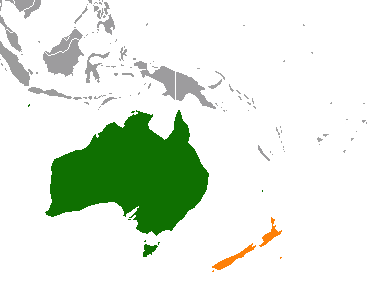 Prior to the development of ANZSIC 1993, separate national industrial classifications were used in Australia and New Zealand. During the late 1960s, the then Commonwealth Bureau of Census and Statistics drew together the several distinct classifications then in use in Australia to produce the first Australian Standard Industrial Classification (ASIC). The original 1969 edition of the ASIC was based at the broader levels on the ISIC, with some modifications to allow for comparability with previously used classifications. Revised editions of the classification were released by the ABS in 1978 and 1983. The first New Zealand Standard Industrial Classification (NZSIC) was issued in 1970. It replaced a modified form of the original 1948 edition of the ISIC, which had been used by Statistics NZ from 1948. A second edition of the NZSIC was produced in 1975, with more detail in some areas, and a third edition was produced in 1987. The possibility of Australia and New Zealand using a common industrial classification was first raised in 1990 while the ASIC review was continuing. The first edition of the joint classification (ANZSIC) was released by the two agencies in 1993. ANZSIC 2006 has been developed to provide a more contemporary industrial classification system. Changes in the structure and composition of the economy, changing user requirements and comparability with international standards have been taken into account. This 2006 edition of the ANZSIC replaces the 1993 edition. What are ANZSIC Codes used for? As well as being the standard industrial classification that underpins ABS and Statistics NZ industry statistics, the ANZSIC is widely used by government agencies, industry organizations and researchers for various administrative, regulatory, taxation and research purposes throughout Australia and New Zealand. Why are ANZSIC Codes important? The International Standard Industrial Classification of All Economic Activities (ISIC), has been used as the international standard for reference purposes. This will lead to significant improvements in the comparability of industry statistics internationally. Australia and New Zealand have for many years endeavored to align their industrial classifications with the ISIC as far as possible. However, the degree of alignment able to be achieved is sometimes adversely affected by competing classification principles e.g. a different organization or structure of Australian or New Zealand industry, or a lack of significance of some internationally recognized economic activities in the two economies.